Pictured, Lyft rider, Fabian Durazo. Lyft rider, Fabian Durazo arrested in the stabbing murder of heavily pregnant app driver, Kristina Howato after picking up passenger in Phoenix. 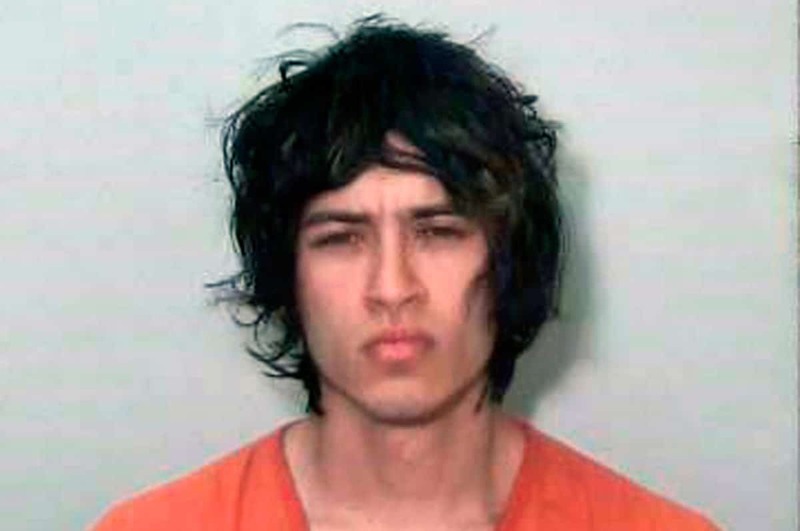 A Lyft rider in suburban Phoenix, Arizona has been arrested after stabbing his pregnant driver, killing the woman and her unborn child before stealing her vehicle and driving nearly 150 miles before being arrested near the California line, authorities said Monday. Tempe police said Kristina Howato, 39, was in her third trimester of pregnancy and is survived by two other young children. They say Fabian Mauricio Durazo, 20, was being held at a La Paz County jail on suspicion of two counts of first-degree murder and one count each of kidnapping, armed robbery vehicle theft, and kidnapping. Authorities say they hope to have him extradited back to Tempe in the coming days. Howato was working early Sunday as a Lyft driver when she received a pickup request in west Tempe, said Sgt. Ron Elcock, a police spokesman. Durazo allegedly attacked Howato when they arrived at an apartment complex about a half-mile away before fleeing with his victim’s SUV. Police officers responded to the apartment complex about 1:30 a.m. after receiving reports of a woman screaming in a parking lot. They found Howato suffering from multiple stab wounds. She was transported to a hospital where both she and the unborn baby died. Arizona Department of Public Safety officials used GPS tracking to locate the stolen SUV on Interstate 10 near Quartzsite, about 25 miles from the Arizona-California line and Durazo was taken into custody Sunday afternoon. Police said they don’t believe Durazo and Howato knew each other and a motive for the fatal stabbing remains undetermined. Should app drivers be allowed to carry weapons to protect themselves from attacks? The incident has since reignited the debate whether app based drivers should carry weapons to protect themselves. At present, both Lyft and Uber prohibit drivers from carrying guns. Some drivers are known off record to carry pepper spray, a knife. Of note, both rideshare companies allow drivers to call 911 through the app and even share their location. For some drivers, the news out of Tempe was unnerving and their worst fear, while not necessarily forcing them to give up driving altogether. ‘I could go into a grocery store and I might get shot up. So you can’t walk in fear,’ told one app driver via abc15.com. ‘You have to to make money. It’s part of life’.